19 October 2017 - Israel Museum - Jerusalem “Modern man listens more willingly to witnesses than to teachers,” said Pope Paul VI. The specification of contextual witness is of particular importance as a formative element with regard to the Study of Theology at STS. Consequently, first year students of the STS made a topographical visit to the Israel Museum on 19th October 2017, facilitated by Fr Gustavo Cavagnari, SDB, President of STS, and guided by professor Fr Leopold Vonck, M.Afr. 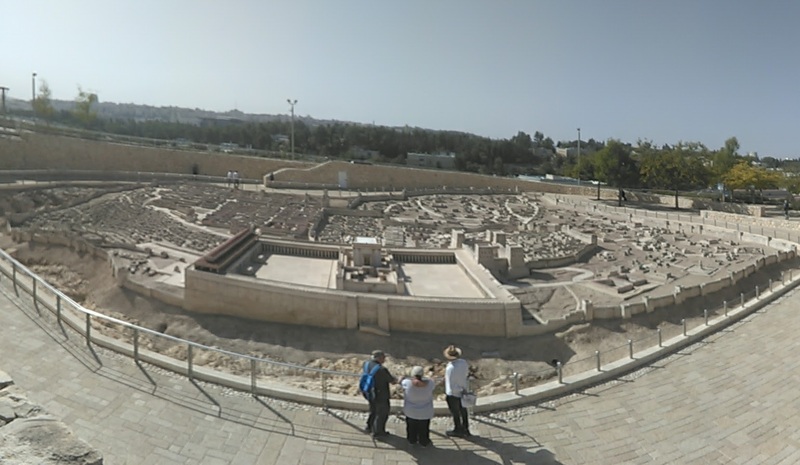 The visit offered clarity of different themes in archaeology through the model of Jerusalem in the second Temple Period, evolution of different ages and civilizations, artistic creative elements, cultures of different countries like Egypt, Ancient Near East and Greece. Archaeological objects which were discovered in excavations, Dead Sea Scrolls and archaeological outlooks dating from prehistory to this day were well projected and explained. An interesting part of the visit was to the art wing. This gallery includes collections from Israeli art, arts of Africa, Europe, and Asia, modern and contemporary arts. Students could perceive a sort of comparative element, evident from the displays and presentations of the museum. Some galleries presented different lifestyles from birth to death, rites, economy, inventions of weapons, costumes and jewelry. An enormous amount of importance was given to Hebrew manuscripts, Torah scroll ornaments and Torah arks. A comprehensive understanding of history, scripture and social contexts were explored at the end of the visit.